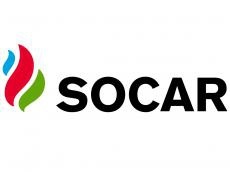 Russia’s New Stream Group of Companies doesn’t intend to sell a block of shares to Azerbaijan’s state oil company SOCAR, the group of companies told Trend July 16. “This information is not true,” the group of companies said. In turn, SOCAR hasn’t commented on this information yet. Earlier, Russian media quoted sources as saying that SOCAR will become a new shareholder in the New Stream Group of Companies, and businessman Igor Makarov is selling his block of shares (50 percent) in the New Stream Group of Companies. It was noted that the deal will be conducted through a new company, which will be created by president of the group of companies Dmitry Mazurov and banker Vladimir Kogan. It was also reported that in the future, the company can abandon all its deposits and concentrate on processing. The assets of the New Stream Group of Companies include Antipinsky Oil Refinery JSC (Tyumen city), Mariisky Oil Refinery LLC (Mari El Republic of Russia) and Bitumen Production LLC.